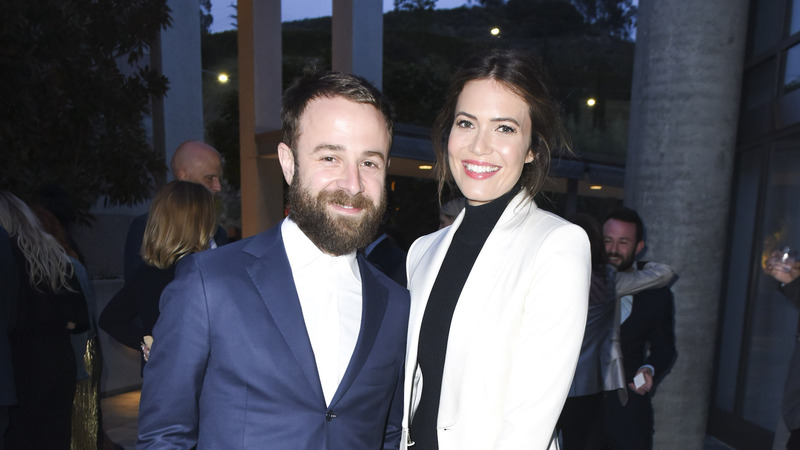 Mandy Moore is officially married to her partner of almost three years, Dawes musician Taylor Goldsmith! The couple reportedly tied the knot in an intimate backyard ceremony at Moore’s Los Angeles home on Sunday. From what Moore has been saying about her dream wedding since she and Goldsmith got engaged in 2017, it sounds like it was exactly what the couple desired. After Moore and Goldsmith exchanged vows, they held their reception at the Highland Park private events space The Fig House. According to E!, some of the guests in attendance included members of Moore’s This Is Us family, like Milo Ventimiglia, Chrissy Metz and Sterling K. Brown as well as her BFF, Minka Kelly, and Moore’s ex-boyfriend, Wilmer Valderrama. Another source told E! the couple skipped a traditional formal dinner. Instead, they offered a “number of food stations around the venue, including meat, chicken, vegetarian, raw food, flat bread, cheese and charcuterie and more.” There were also multiple kinds of cake, which is always ideal. As for entertainment, E! reports Goldsmith himself performed at the reception. Neither Moore nor Goldsmith has revealed any photos from their nuptials on social media, though Moore did take to Instagram on Monday with some sad news from the weekend. In the midst of the wedding excitement, she tragically had to say goodbye to her cat, Madeline, who died very suddenly on Saturday evening. We can’t imagine how hard it must have been to simultaneously celebrate such a joyous occasion and mourn the loss of a beloved pet on Sunday. We’re wishing these newlyweds all the best and hope for a happier start to their marriage as they embark on this new adventure together.